LiveCode LessonsLiveCode LessonsHow to - LiveCode Marketplace Products Data Grid HelperHow Do I Create an iOS Modal Pickwheel in a column? 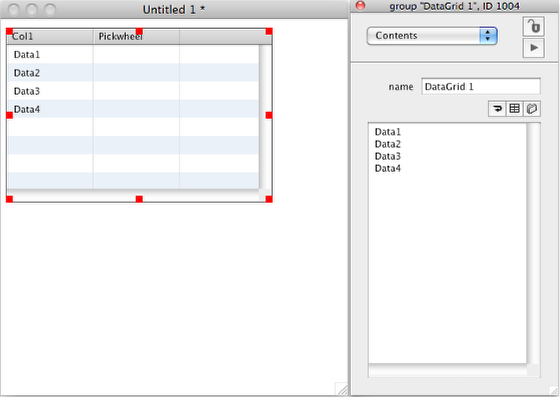 This Lesson presents how to create a column containing an iOS Modal Pickwheel control in a datagrid, using the Data Grid Helper Plugin. Name the last column "Pickwheel". 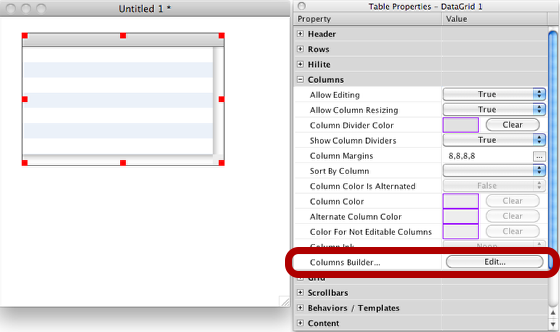 Double clicking on the Pickwheel field in the Column Content, will open the Properties Inspector. Enter a name for this pickwheel field. Default name is "Field". Example: myFirstPickwheel. 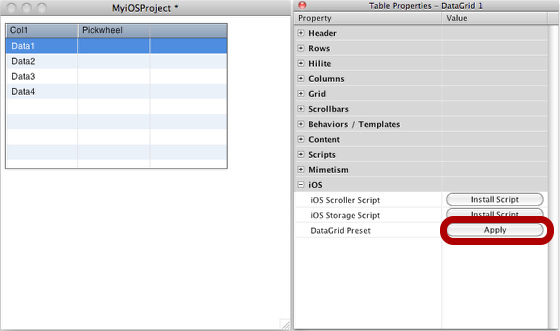 DGH can now build the required script for managing this iOS pickwheel according to the column data. Content for the pickwheel is added by DGH in the EditValue handler. Apply the script's change by clicking on the Apply button of the Script Editor. Prev: How Do I Give Color To a Non Editable Column? 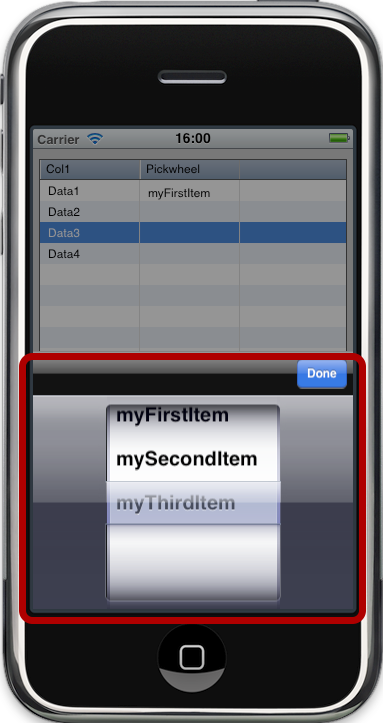 Next: How Do I Create an iOS Date Picker in a column?